Let your kids take some risks. 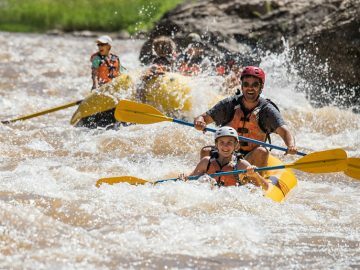 While on a guided rafting trip, parents have the luxury of a second opinion in the form of rafting guides. When in doubt whether our 12-year-old can run a Class IV rapid in an inflatable kayak solo, we ask our guides. They’re impartial, after all, and will be the first to encourage hesitant kids to push their limits and gently nudge confident kids in the right direction. Sit back and be amazed at what your kids can do. Don’t worry about the kids getting bored. Really. Even if you don’t have kids who typically entertain themselves in the outdoors, or if—maybe especially if—you have kids whose primary entertainment is technology or screen-focused. They’ll make friends, be worn out by the day’s exertions, and be entertained by your guides. My kids always return from whitewater rafting trips bursting with new riddles, card games, and stories they can’t wait to share with friends at home. Bring small items to play with in camp, such as a Frisbee, deck of cards, or fishing pole, and that’s it. Be the parent. 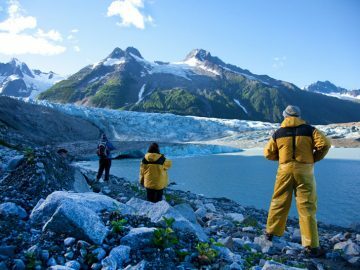 Outdoor guides seem like they’d be amazing babysitters, but sadly, that’s not actually part of their job. While great guides will play with your kids and be their buddies, it’s still up to parents to actually parent the kids. 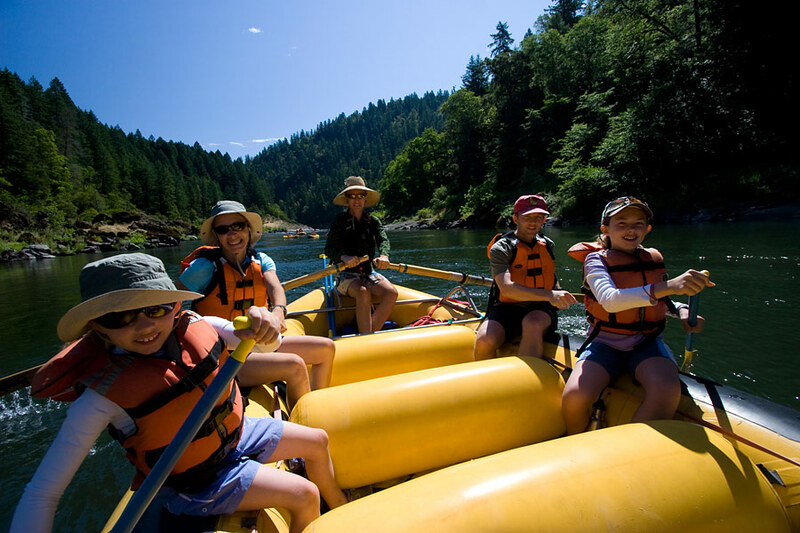 This is easier on a rafting trip than at home, however, because 1) the kids are too tired to argue with you, and 2) the guides will lay down group ground rules that are simply common sense, such as, ‘look below before you jump off rocks’ and ‘don’t let your kids swim alone’. And when all the parents keep their kids in check, everyone’s happy. Plan to stay near the river after disembarking. We’re always very tired in that happy, we-deserve-a-nice-soak-in-a-tub sort of way after a whitewater rafting trip. What we’re not up for: a long road trip or red-eye flight home. 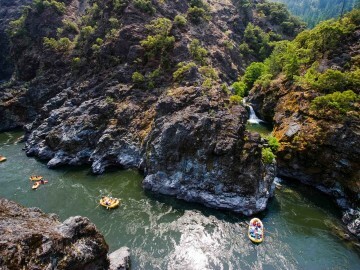 Do yourself a favor and book a resort or hotel room for at least one night post-rafting. Spend the extra vacation time reminiscing about your favorite moments on the river.